WeChat is a popular messaging, mobile payment and social media app developed by Tencent. The app is present for iOS as well as Android platform. 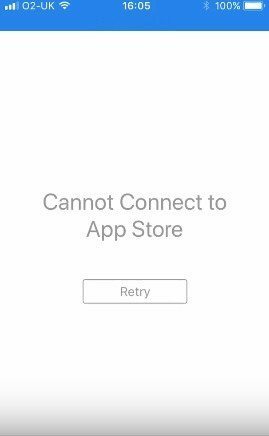 But recently, iOS users started complaining about WeChat not working on iPhone. This was the scene with a number of users. Consequently, the iOS users started looking for a solution. If you are one of the users that are seeking to solve WeChat video call not working on iPhone issue, here are some solutions that might help you. If you are facing the "WeChat crash on iPhone" issue, then that might be potentially due to lack of memory. All you need to do is clean the iPhone storage. All you need to do is follow the given below steps if your WeChat closes automatically. Step 1: Go to Settings >> General >> iPhone Storage. Step 2: Select any app that you think is using a lot of memory. Now, take a look at the Documents & Data. If the app is using over 500MB, it is worth deleting and installing it again. This will clear the space in your device. Step 3: Click on Delete App option present at the bottom. Now re-download it by heading to the App Store. 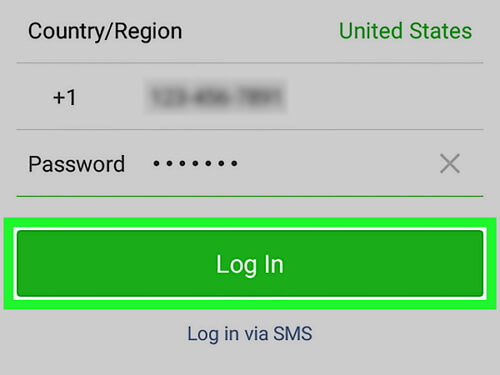 In order to solve this WeChat-related issue, you must try restarting your device. This is very easy to do. Regardless the model of your iPhone, all you need to do is long press the power button and slide the "slide to power off" slider to turn off iPhone. Now, long press the same Power button to start the device. If this still WeChat not working after update, then you can try force restarting it. Here are the steps to force restart your iPhone. Step 1: For the latest iPhone 8/8 Plus/X, you will need to press the volume up and down button. Then, long press the side button till the device restarts. Step 2: For users having iPhone 7/7 Plus, long press the volume down and side button till the device restarts. Step 3: For the old generation iPhone 6s or earlier model, long click the home button and the sleep button till the device restarts. If you are still facing the WeChat notification not working on iPhone issue, all you can do is clear the WeChat cache. Here are the steps that you need to follow. Step 2: Select WeChat and take a look at the Documents & Data. If it is using over 500MB, you can delete and install it again. This will clear the space in your device. In addition to this, you can also clear the cache from the app itself. All you need to do is open the WeChat app and head to Settings >> General >> Storage >> Clear WeChat. Sometimes, the issue that you are facing might be due to a glitch in the app. Try updating the app and see if the issue is solved or not. Follow below steps to update the app. Step 1: Go to App Store. There will be a list of option at the bottom of the screen. Step 2: Tap on the Update option. Step 3: If an update for the WeChat app is present, it will come in the list. Tap the Update option in front of the WeChat. Sometimes, the glitch can be present in the iOS itself. Hence you should also try updating the operating system for once. This is very simple to do. All you need to do is follow the below given steps. Step 1: Go to Settings >> General >> Software Update on your iPhone. Step 2: If an update is present for your iOS, you will need to download and install the update. Make sure your device is connected to a strong network and the power source. As silly as it might sound, using another Wi-Fi can be very effective. This might be due to the fact that the current Wi-Fi must not be working or is not strong enough for WeChat to work. You can also forget the old Wi-Fi network. Just go to Settings >> Wi-Fi >> [Network Name]. Select the Forget This Network option at the top. If the issue still persists even after changing the Wi-Fi network, then you can try resetting the network settings. This is very simple and can be performed by following the given below steps. Step 1: Go to Settings >> General >> Reset option. Step 2: In the Reset head to Reset Network Settings. This will reset VPN and APN settings, Wi-Fi passwords and networks, and cellular settings. Performing some of the above solution will lead to loss of data. If you wish to solve the issue without any data loss then you can use Tenorshare ReiBoot. This tool will solve the issue without any loss of data and that too with a single click. Here are the steps on how you can solve the issue. Step 2: Tap "Fix Now" to enter the firmware download screen. Step 3: Install the firmware package online by tapping "Download." This will begin the installation of the package. Step 4: When the installation is completed, tap "Start Repair" option to begin the recovery of your device. Seeing the big picture here, we had a look on the top 8 solutions that can be used to solve WeChat shake not working in iPhone issue, Tenorshare ReiBoot begin the best of them. Do let us know your feedback by commenting below.